Calling all Chipotle lovers! 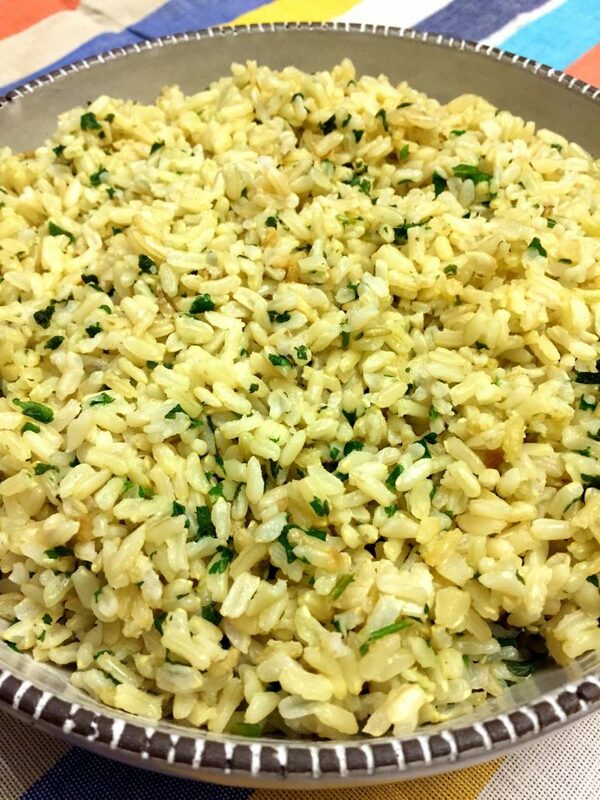 You can now make a huge batch of cilantro-lime rice yourself without leaving your house 🙂 It’s super easy, you’ll love it! 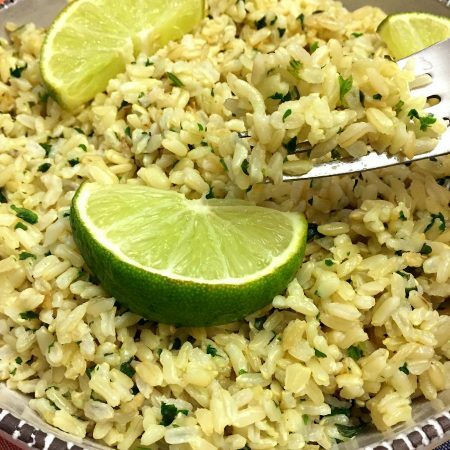 This amazing cilantro-lime rice is very versatile – you can eat it so many different ways! 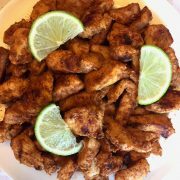 Use this rice for Mexican-theme nights in tacos and burritos, serve this rice as a side dish for chicken, meat or fish – the possibilities are endless as cilantro-lime rice goes well with anything 🙂 You can also toss in some protein like chopped chicken, shrimp or beans and turn into into a main dish! Another awesome way to use this cilantro lime rice is in a copycat Chipotle Burrito Bowl salad – check it out, you’ll love it! 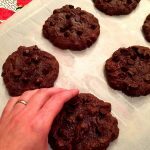 This recipe makes a big batch of 6-8 servings. We go though this rice really quickly in our house 🙂 If this is too much cilantro-lime rice for you, just halve all the quantities. Or freeze the leftovers! Cilantro-lime rice freezes pretty well. To freeze it, put cilantro-lime rice in a freezer ziploc bag, squeeze out all the air and freeze. Defrost in a refrigerator overnight, or in a microwave on a Defrost setting when in a hurry. You can use any type of rice (white or brown) and cook it any way you like – on a stove top according to package directions, in a microwave or in a rice cooker. 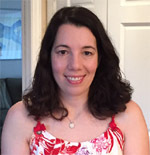 The microwave method works for white rice only, if you never tried it, check it out here – how to cook rice in a microwave. I always cook my rice in a rice cooker – it’s a completely hands off process, just put the rice and water in a rice cooker, press the Start button and walk away. Yes, I’m lazy like that 🙂 Rice cooker is one of my most frequently used kitchen gadgets, and they are so cheap – you can get a great rice cooker for around $20! If you never tried cooking brown rice in a rice cooker, or it never turned out well for you, you’ll like my article on how to make fluffy tasty brown rice in a rice cooker! While the rice is cooking, whisk the juice of 1 lime, minced garlic clove, 1 tsp olive oil and 1 tsp of salt in a cup. 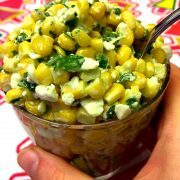 You will use this dressing, along with minced cilantro, to flavor the cilantro-lime rice! To mince the cilantro, I always use my food processor – just throw the cilantro in a food processor bowl fitted with the steel blade, pulse for 30 seconds and you’ll get a perfect minced cilantro with virtually no effort! Drizzle the lime dressing and sprinkle minced cilantro over the rice. 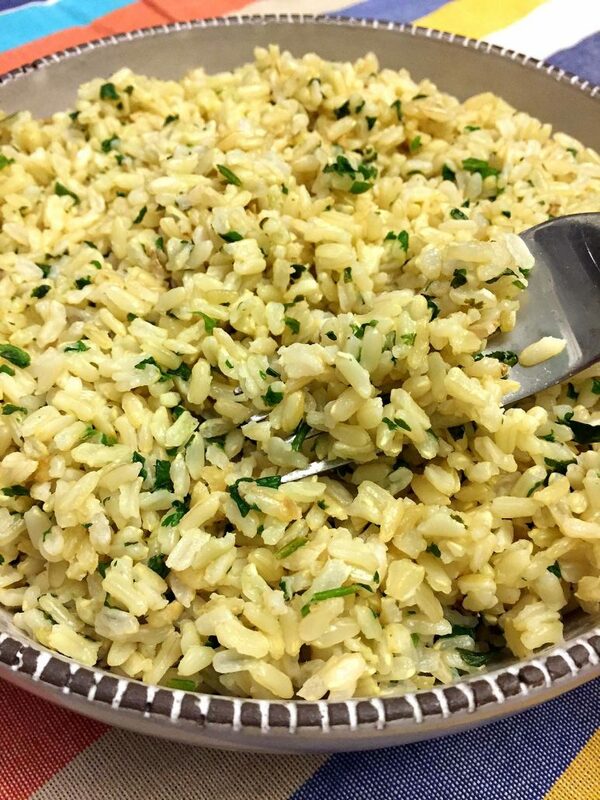 Using a fork, fluff the rice and mix everything thoroughly so the cilantro is evenly distributed. Taste the rice and add more salt and seasoning if needed. Enjoy your homemade Chipotle cilantro-lime rice! 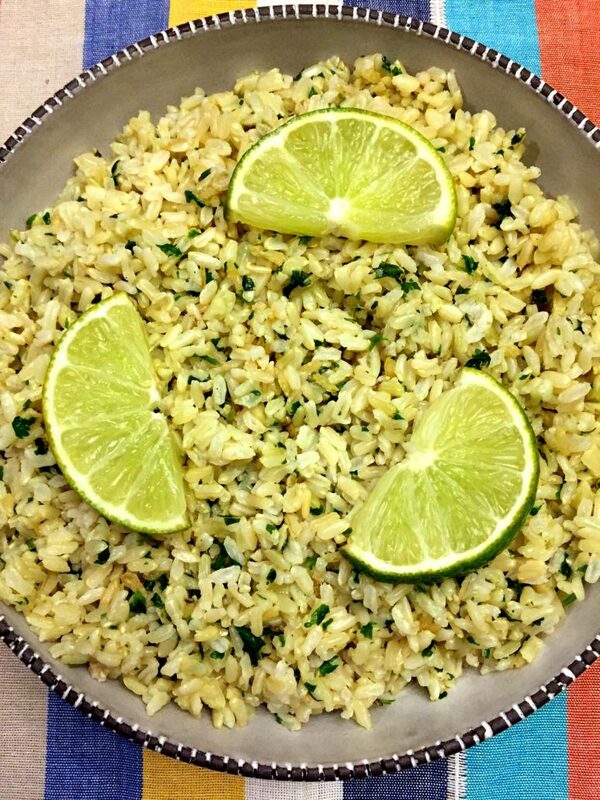 If you like Chipotle's cilantro-lime rice, you are going to love this recipe! 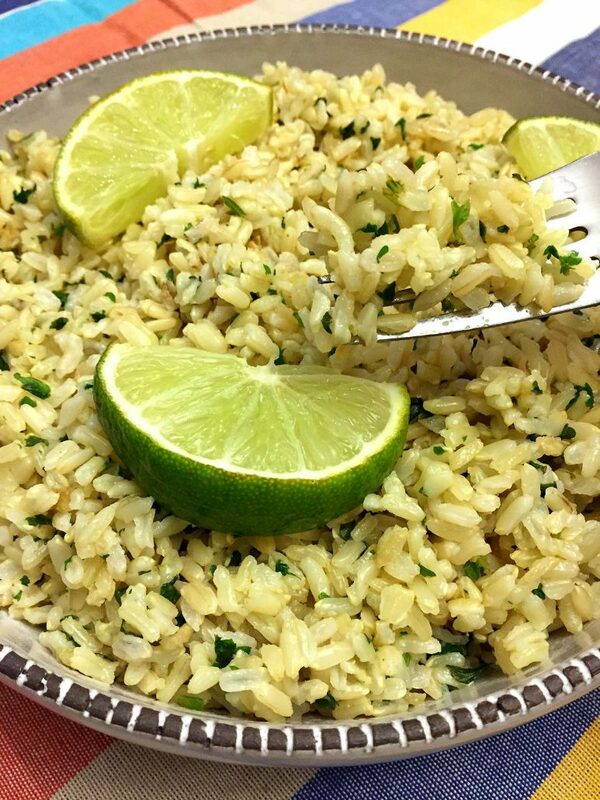 It's super easy to make cilantro-lime rice yourself with white rice or brown rice - your choice! 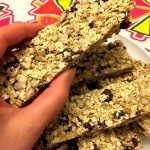 So easy, yummy and healthy! Cook rice according to package directions. You can use the stove top or a rice cooker (I always cook my rice in a rice cooker). Put lime juice, garlic clove, olive oil and salt in a cup and whisk with a fork. 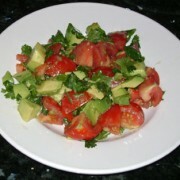 Drizzle the lime juice mixture over rice and put minced cilantro on top. 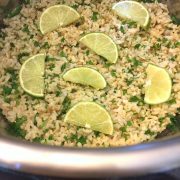 With a fork, mix the rice thoroughly so the rice is fluffy and all the lime dressing and cilantro are evenly incorporated. This was delicious! Turned out perfectly & it tasted exactly like Chipotle. Thanks for the recipe! Made this with white & long grain wild rice. It is delicious! Definitely a new favorite in this house!